Publisher Square Enix has released some new screenshots and artwork for Kingdom Hearts 3D: Dream Drop Distance, the upcoming action-roleplaying game that it will release for Nintendo 3DS this year. 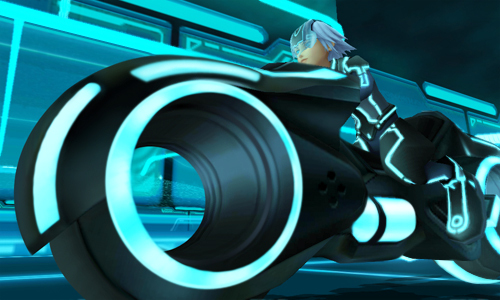 As you can see from the shots, it looks like Sora and crew are headed back to the world of Tron, the 1982 sci-fi film about a man who is transported inside of a computer. 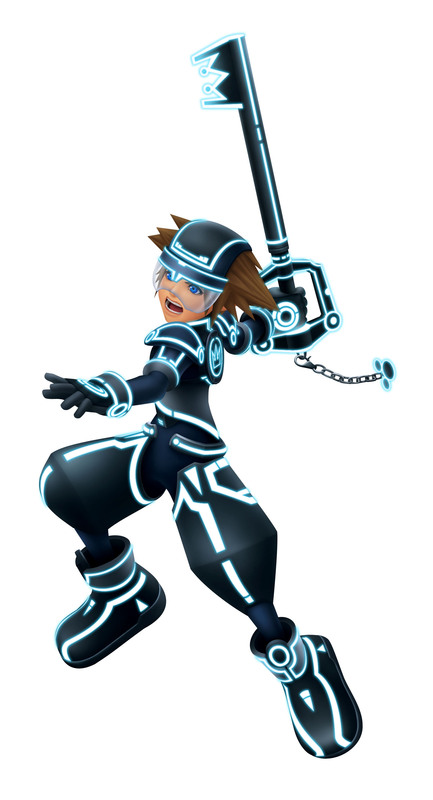 In Kingdom Hearts 2, the world of Tron existed within a computer network, so maybe we'll see that again here. Or maybe there will be some other convoluted explanation involving monsters and demons and masked figures who are really clones of people who don't really have hearts but might have hearts or something I don't even know anymore, Square Enix. I just don't know anymore. 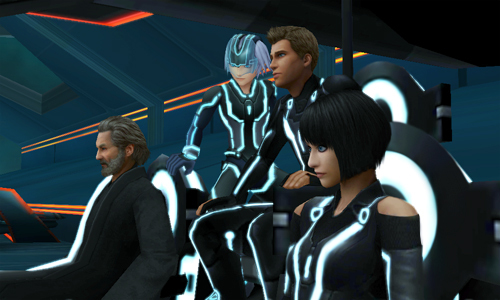 Its tron legacy, not the original because old jeff bridges is in one of the screens along with sam and quorra. 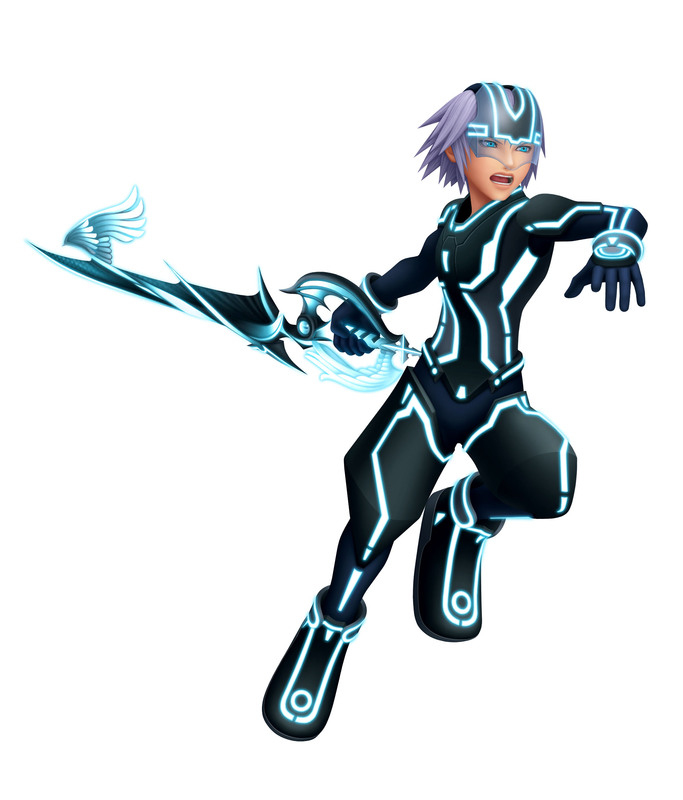 does this mean olivia wilde will be in the new kingdom hearts?